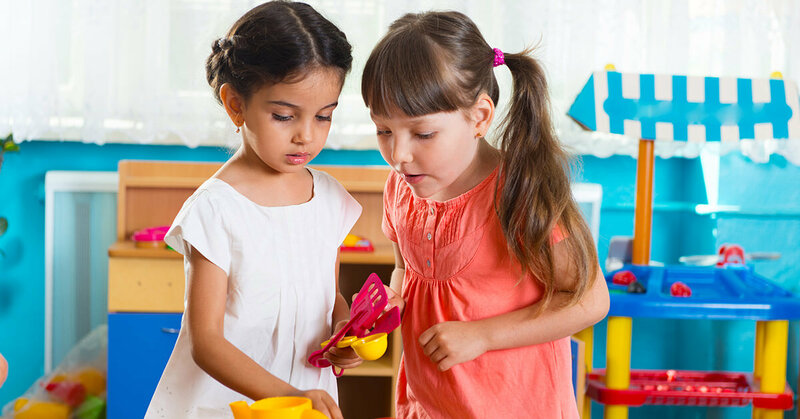 If you are looking for daycare for your child in Huntington on Long Island, you’ll surely want to learn about Rainbow Chimes Early Childhood Education & Day Care Center. We are a daycare center with a difference, a big difference. St. Francis Xavier is well known for having said, “Give me the child until he is seven and I’ll give you the man.” This is something you can see in action every day at Rainbow Chimes. From the physical rooms to the curriculum we use, we believe everything about the first few years add up to make the adult and we work hard to give children the very best start possible. This method of learning is based on the concept that children are natural learners, and if you allow them to activate their natural curiosity and lead them through how to investigate the work, they will stay active learners through life and have more success in life in general. High Scope Curriculum is not just research based, it is also proven in life. Results in real life show that groups of children who started life with this curriculum had higher high school graduation rates, earned more money, and had lower crime rates. The physical space in which a child learns is an important aspect of learning. Our nurseries are specially designed rooms that enable the babies to crawl, socialize, and play with age-appropriate toys. Each baby is given personal attention and special importance is given to their bonding so that they develop trusting relationships with people. If you are interested in scheduling a walk through of our facility, click here.